I love books! I love reading! I want to climb a tree and sing out while swinging from the branches. Okay, so not really. Wouldn't that be quite a sight to see? The sentiment is there, however. It has been a wondrous reading year, full of adventure, eye opening experiences, laughter, tears, and comforting embraces. I traveled the world, stepped back in time, and rode along side some of the most amazing characters, sharing in their pain and sorrows as well as rejoicing in their happy moments. I grew as a person this year, deepened my understanding of the world around me, and had a lot of fun while doing it. All of you have made this an even more wonderful year, sharing a bit of your life with me and me with you. You have enhanced my reading experience and given me an extra dose of confidence. I am eternally grateful. I look forward to another year of great reading and having you by my side. These first two books, numbers 9 and 10 were difficult to choose. There were quite a few contenders for these last two spots, and certainly many are deserving. In the end, I decided to pick two mysteries that knocked my socks off this year, both of which have me clamoring for more. My top five favorites this year touched me in many different ways. With all five of these novels the characters were able to find their way under my skin and their stories carried me deep into the pages, mesmerizing me long after I closed the book. 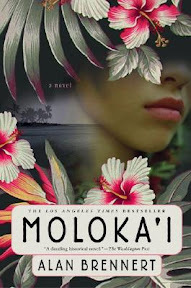 Moloka'i and The Way the Crow Flies reached into my past and reminded me of long ago years. Anna Karenina settles comfortably in its 5th place spot. However, the next three were much harder to settle down. Each of those stories were quite powerful and moving in their own ways, tackling difficult subject matter, bringing up a multitude of emotions in me, and sticking to me even now. In the end, Broken For You resonated the loudest with me: its voice, its beauty, the eccentric characters, the lessons learned, and the story itself. I finished the book with a breathless, "Wow." That sums up my reading year. It was a great year overall, and I am looking forward to seeing where my books take me in 2008. Great wrap up. I might have to steal some of your categories for next year. Happy 2008, may you be blessed with many great books. Great list (I've read #'s 2, 3, and 7 myself). And some incredible stats, too! I'm impressed you kept such detailed records all year. And I will be getting a copy of Broken for You on my next trip to the bookstore; it's called to me several times, and you've sold me. Happy New Year, and thanks so much for sharing your reading adventures! Excellent wrap up Wendy. I've been waiting on the edge of my computer chair for your top ten list - a little competition will do that to me, but I picked wrong. Oh well, it was fun to guess. I also enjoyed how you organized your books. I must look into the Karen Olson series, since I liked Lily Bard as much as you did. Harris only wrote 5 in that series unfortunately. HAPPY, BLESSED NEW YEAR 2008! I want to do the Literary Kitten's Top 10 Reading Challenge! Great List! I hope you have a Happy New Year as well. Laura - Thanks! I have a thing for lists and details. :-) Have a great New Year! 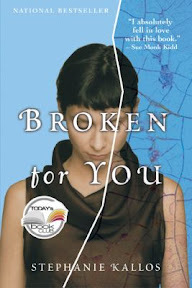 I do hope you enjoy Broken For You ! Even if only half as much as I did. I hope you have a terrific New Year! Elizabeth - Thank! Haha It was fun seeing all the guesses. I wish I could make everyone a winner. I wish Harris would write more in the series, but I know she's putting more focus on her two paranormal series these days. Oh well. I still have four to go in the Lily Bard series. And I found a copy of the first Aurora Teagarden book. I'm looking forward to trying out that series as well. Maggie - Haha I feel that way about so many of the lists I've come across. So many tempting books. 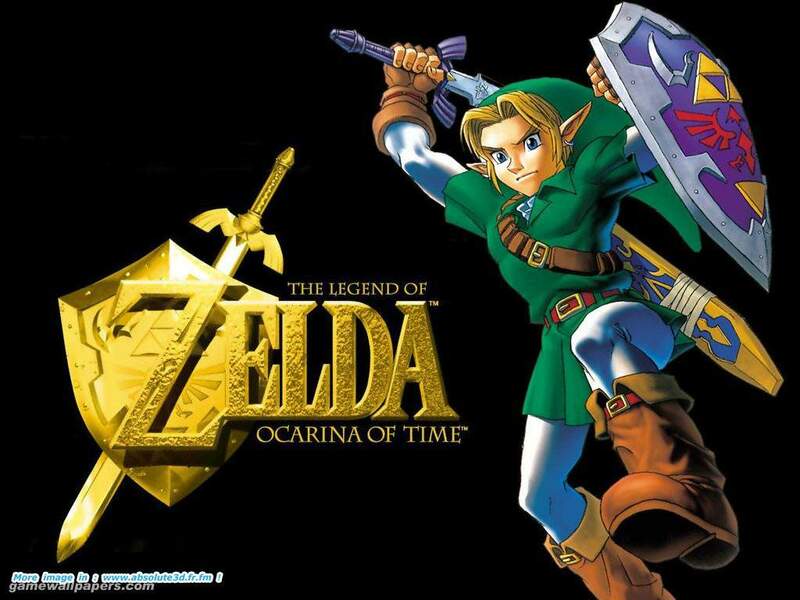 I wish there was more time! Thank you for the New Year's wishes, and I hope the same for you! Melody - Thank you! I hope you have a wonderful New Year as well. Very well done post! Half of a yellow Sun is a great book. I somehow am in the midst ofit and could not finish it. I do like your choices. I will add a few to my TBR pile! Have a great 2008 reading! I just love the detailed stats you did... number of new authors, authors by gender and nationality, longest book...I want to do them too next year! Great wrap up Wendy! I want to read many of your top books. I am going to be pulling titles from your list and putting them on my TBR. Wow!! That was very impressive! I so badly want to read Half of a Yellow Sun and 'The Way Crow Flies'. Thanks for sharing your reading adventures. Have a great 2008! Great review. I have several of these books on my shelves so I hope I get to them this year. I didn't like The Ghost Writer, but I'm glad you enjoyed it. 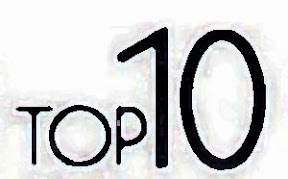 I feel so honored to have you include SACRED COWS on your Top 10 list! I am totally in awe of your reading. I WANT to read that many books in a year, but I just find that my time is so tight sometimes. And now I've got more books on my TBR list because of your great reviews. It's been so great getting to "know" you this year, and here's to a super 2008!! I really like some of the categories you've kept track of. I'll have to use a few next year! I am also amazed at how many challenges you took on this year - it gives me inspiration to just join all the challenges that look good in 2008! Loved you stats categories! What a great and interesting year you had! Happy New Year! I'm beginning to think I need to give away a prize for the most involved and interesting statistics - you and 3M would be tied!!! *laughs* What an impressive year of reading you've had, Wendy. Congratulations. 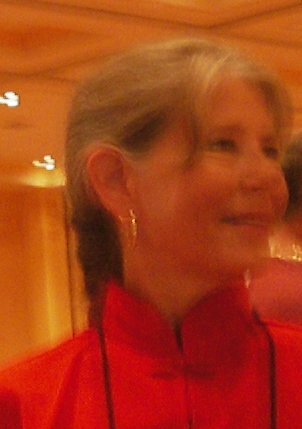 I'm looking forward to sharing reads with you in 2008! Great wrap-up, LitFeline. You keep really good records. Would you mind if I borrowed some of your wonderful technique for next year? I have added many new books to my TBR list from your blog. Thanks so much for the great reviews, great suggestions and fun comments. WOW! What a great wrap-up! Thanks for sharing. I have a few books from your list to add to my TBR list for 2008. I'm amazed you only started ONE book you didn't finish? I probably started just as many books I didn't finish as DID finish. And I read 92 books this year! I just don't keep reading if I'm not totally hooked by 10-25 pages. Sometimes I will go up to 50 or so but that's usually it. I probably miss some good books that way but oh well, I can't keep reading if I don't really like it right away. Pint Size and Doorstops - great descriptions! You've had a very good year! Wow, you had an amazing year Wendy. I enjoyed reading your wrap up. I would love to borrow some of your format for my 2008 stats if you don't mind. Amy - Thank you! I hope you will enjoy the books you do read. I have enjoyed getting to know you too--and everyone here. It's been such a great experience for me. Happy Reader - I hope you are able to read Half of a Yellow Sun and The Way the Crow Flies. They are both such great books. I think, anyway. :-) I hope you have a great New Year as well! Alisia - Thank you! Happy New Year to you as well. Framed - Thanks! I remember reading your review of The Ghost Writer and am sorry you didn't enjoy it more, but that's the way things work out sometimes, isn't it? :-) Happy Reading! Karen - It's a well deserved spot, I can assure you. I really did love that book and the two that came after. I have enjoyed getting to know you as well, Karen. Your guest appearance on my blog has been one of my favorite moments. Not to mention all the great recommendations you've given me. Have a wonderful New Year. Melanie - I was surprised to when I saw them all listed in one place. I am even more surprised I did so well with them. Whether you join any reading challenges or not, I hope you have a wonderful reading year! Stefanie - Thanks! I enjoyed my reading very much this past year and am looking forward to this coming year even more. Booklogged - Thank you! You are welcome to borrow as much or as little as you like. And thank you too for the kind words. I've gotten a lot of great suggestions from your blog as well. Eileen - Thanks! I don't easily give up on books mainly because I've had some that turn out to be favorites that I might have doubted in the beginning. Atonement is a great example. As much as I loved the writing, the story was dragging at first, but oh, how I was rewarded because I kept reading. I hate missing opportunities like that. And I have gotten pretty good at telling which books will be worth my while before I start them. Not always, but usually. Still, I also know that there are times when it's best to give up on a book, especially when it's boring me to tears and I have no interest in it. In the end, I suppose we just have to do what works best for us. Susan - It was a good year for reading. :-) Please free free to use what you you would format wise. I am sure most of my ideas came from other bloggers as well. Have a great New Year! Impressive roundup of your year in reading :) I have only read one of your top 10 favourite books so far and have heard great things about the Lily Bard series. Looking at the Nationality is interesting and something I have started to do without recording it. Do you record all these details in your personal reviews or files torefer back to? NO! You can't convince me that the main character is after your own heart, not whether I liked the book or not. Sorry for the confusion. Rhinoa - Thanks! I actually keep the details on a spreadsheet as well as in my reading journal. I don't post any of that on my blog because I'm not sure how interesting it will be. It's more just for my personal use. I love this post! I was looking forward to it and now I have more new books to add to my list. Yay. You had a wonderful reading year and I'm so impressed with the challenges you did and completed - wow! What an impressive year! And an impressive list. I loved your stats page! Happy New Year and heres to lots of reading! You are INCREDIBLY ORGANIZED! I must say I'm impressed. Wow. I have to say that of your top five favorites, I think you are pushing me to the brink of reading Atonement. I was told I wouldn't like it and then heard the description and felt pretty sure of it. However, lately I've heard nothing by glowing reviews. Hmm. It just very well might find its way into my little hands in the very near future! Thanks for sharing all of this. I enjoyed reading through your lists! I love your year end review! I will need to revisit it so that I can add some of your titles to my evergrowing TBR list! Nichole - Thanks! Same to you! Carrie - I don't always feel so organized. Haha Atonement is one of those books that seems to grow on people. Not everyone likes it, of course, and you may not, but I hope you do if you do decide to read it. Diane - Thanks so much! Whooooooooo! (Frenzied applause) That's gotta be the most complete category breakdown I've seen so far. Mind if I steal some of your categories for next year? I've got Atonement on my TBR. I *really* enjoyed your wrap up! I picked up The Ghost Writer recently based partially on your great review. You've had a great reading year here - can't wait to see what's next. WOW, you keep track a lot more precisely than I do! Fantastic list! I've thought about breaking my list down a little more detailed like yours, but just haven't gotten around to it. :) I'm going to read Atonement next--and I'll also have to check out the Anne-Marie MacDonald book since I really enjoyed her "Fall On Your Knees" in 2007. Trish - Thank you! I sometimes get carried away with the little details. :-) I hope you enjoy Atonement. Tanabata - Thank you! 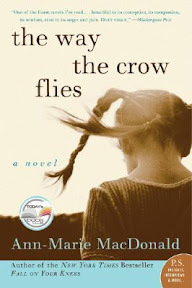 The Way the Crow Flies was such a good book. I imagine it will me among my all-time favorites.